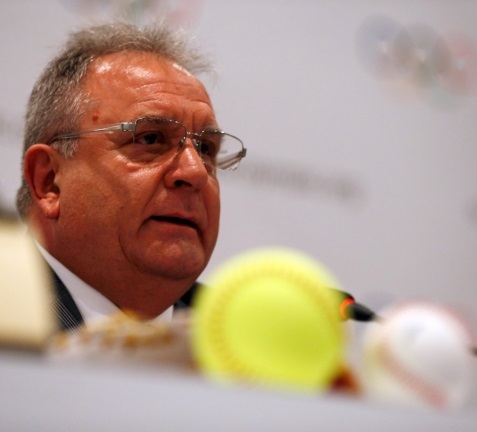 World Baseball Softball Confederation (WBSC) President Riccardo Fraccari believes a greater number of teams competing in a Tokyo 2020 Olympic baseball competition would maximise exposure and revenue for the Olympic Movement. A joint bid from men’s baseball and women’s softball was among five new sports proposed by Japanese organisers to the International Olympic Committee (IOC) in September, as well as competitions in karate, skateboarding, sport climbing and surfing. As it stands, just six men's baseball and softball teams would participate, meaning a total of 234 athletes across the two. A final decision as to which specific sports and disciplines will be included is due to be made at the IOC Session in Rio de Janeiro starting on August 2. The first major test for the five contenders, however, should come tomorrow, when the IOC Programme Commission chaired by Fraccari's Italian compatriot Franco Carraro meets in Lausanne. Fraccari is vowing not to attempt to put too much pressure on the IOC as he would like to confirm the sport's place on the programme first. But while he has accepted the prospect of six softball teams, he admits the baseball number is problematic. Japan would claim one place in Tokyo as hosts, meaning just five would be available for qualifiers. One would go to Asia - most likely either Premier 12 winners South Korea or Taiwan - with one for Europe - likely to be either Italy or The Netherlands - and another for Africa/Oceania - most probably Australia. This would leave just two places for baseball powerhouse the Americas, the region which boasts nine of the world's top 15 teams: United States, Cuba, Mexico, Venezuela, Canada, Puerto Rico, Dominican Republic, Brazil and Nicaragua. Baseball are impeded by the IOC's total athlete limit of 500 for new events. One compromise would be cutting rosters from 24 to 22 players in order to persuade the IOC to allow them eight teams, although there would be a risk on putting too much pressure on individual players in a smaller squad, particularly pitchers. Fraccari, who claims to be under pressure from National Federations desperate to be in Tokyo, believes a greater number of teams in Tokyo will maximise global exposure. The event produced an estimated $131 million (£90 million/€116 million) in worldwide television advertising value and brand exposure for tournament sponsors, WBSC and the sport of baseball. Fraccari hopes a successful performance in Tokyo would boosts the sports chances of featuring at the 2024 and future Games, for which fresh inclusion processes will take place. "I think being in Tokyo gives us the opportunity to show how baseball can bring benefits to the Olympic programme," Fraccari told insidethegames. "In Tokyo if we have success in terms of TV and revenue, I think it will be easier for us to remain on the Olympic programme." Baseball and softball are seeking to return to the Olympics after being removed from the programme at the 2005 IOC Session in Singapore. Their last appearance was at Beijing 2008.